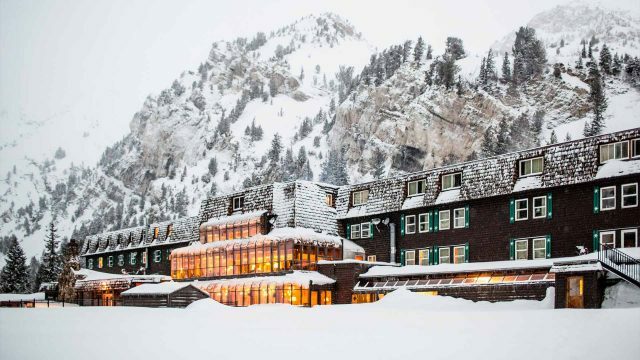 The golden age of ski chalets is alive and well at the Alta Peruvian Lodge. From our pristine trails and ski-only policy to the rustic Nordic charm and our family of guests, there’s so much to love about our lodge. It’s often said that a picture says a thousand words — and we are inclined to agree. That’s why we’ve gathered some images that we feel truly captures the essence of our snow-white winter wonderland. Here are a few of our favorites, and why we love them. Come and knock on our door (really, we’ve been waiting for you!). Our Nordic roots welcome our visitors the moment they arrive. It’s that cozy, fairytale vibe that transports guests to another time, another place. Yet, at the same time, they are home. 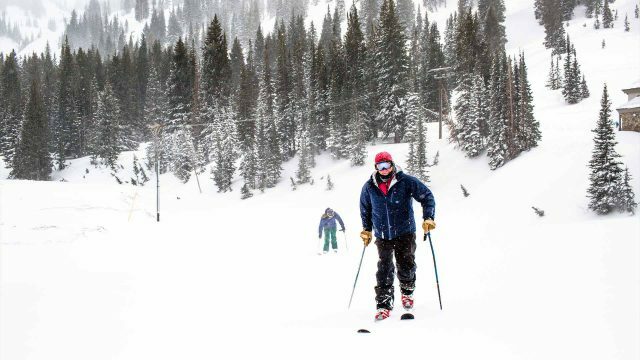 Unlike any other ski destination in Utah, Alta is all ski, all the time. 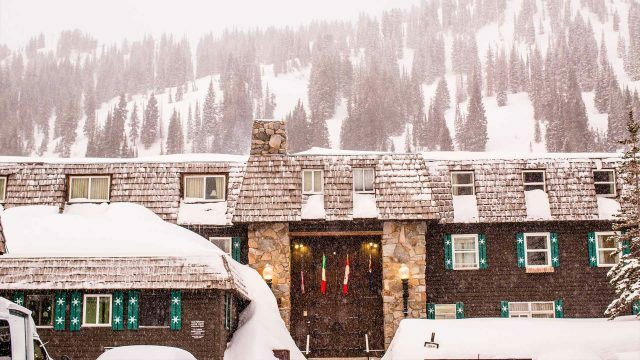 And the Peruvian, which is located at the base of the Alta Ski Resort, is the definition of a home away from home for skiing enthusiasts who love nothing more than fresh powder. Let there be light! As the sun begins to set, the Peruvian lights up in an angelic glow that reminds guests of the warm and inviting space that awaits inside. Enjoy a local brew, relax in the hot tub or simply enjoy a laid-back dinner with friends. When the skis come off, a perfect night begins. With a blanket of velvety powder beneath you, why not fall back and take in the fresh air and natural beauty? After all, a snow angel is always a good idea — and a great way to celebrate the thrill of ski life.